This book truly changed the world, inspiring millions to revolution. 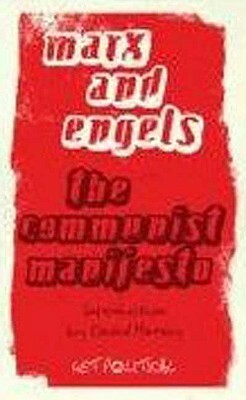 Over 150 years after its publication, Marx and Engels' Communist Manifesto continues to inspire and provoke students, activists and citizens. The principles embodied within in it lie at the heart of thousands of academic and literary works. It is the starting point for people who refuse to accept that capitalism represents the final and optimum stage of human development. After reading this book, it is impossible to remain convinced that there is no alternative to unrestrained neoliberalism. In an introductory call to arms, renowned social theorist David Harvey asks us to look upon the Manifesto not as a historical document, but an invaluable tool for change. Karl Marx (1818–1883) was a German philosopher, economist, sociologist, historian, journalist, and revolutionary socialist. His ideas played a significant role in the establishment of the social sciences and the development of the socialist movement. Friedrich Engels (1820-1895) was a German philosopher, social scientist, journalist, and businessman.